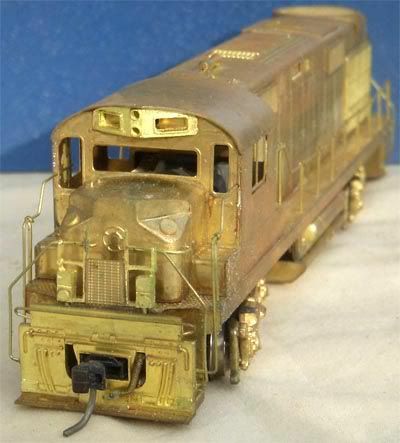 For 1/87th brass importer ALCO Models this loco was the first the company offered in the American market. 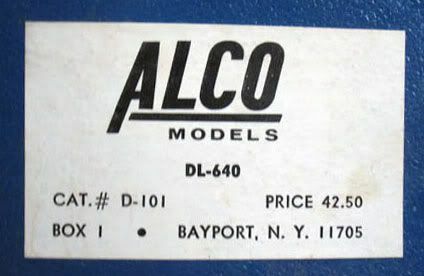 Advertisements announcing the coming ALCO Models DL-640 first appear in the spring of 1967. 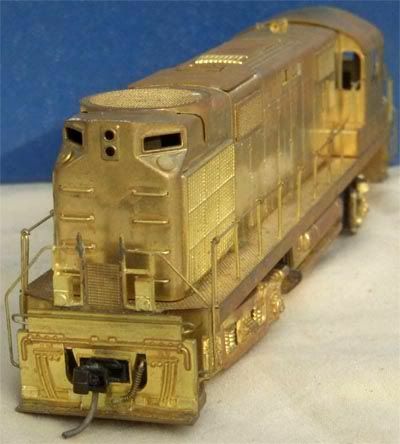 Model Railroader magazine reviews the ALCO Models DL-640 in the December 1967 edition. The review notes that drawings for the DL-640/RS-27 may be found in the June 1960 issue of Model Railroader. The magazine's review is positive of the first effort by ALCO Models, "This is a fine-running model...body is neatly soldered together." The review does state the wheelbase is 4" short of the prototype's 9'4" length. "We hope Alco Models will bring out other Alco diesels" is the conclusion of the MR review. An illustration of a CNW exmaple graces the cover of ALCO Models 1st Edition Catalog. ALCO built only 27 examples of its DL-640, also known as the RS-27, between 1959 and 1962. Original railroad buyers included: Chicago & North Western; Green Bay & Western; Pennsylvania; and Soo Line.